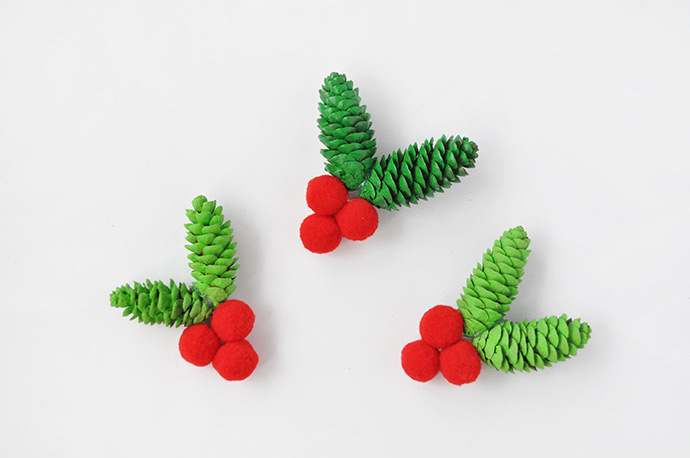 Before the snow starts falling in earnest, collect some pinecones on your next walk around the neighborhood or park – they’re just perfect for turning into these playful ornaments! 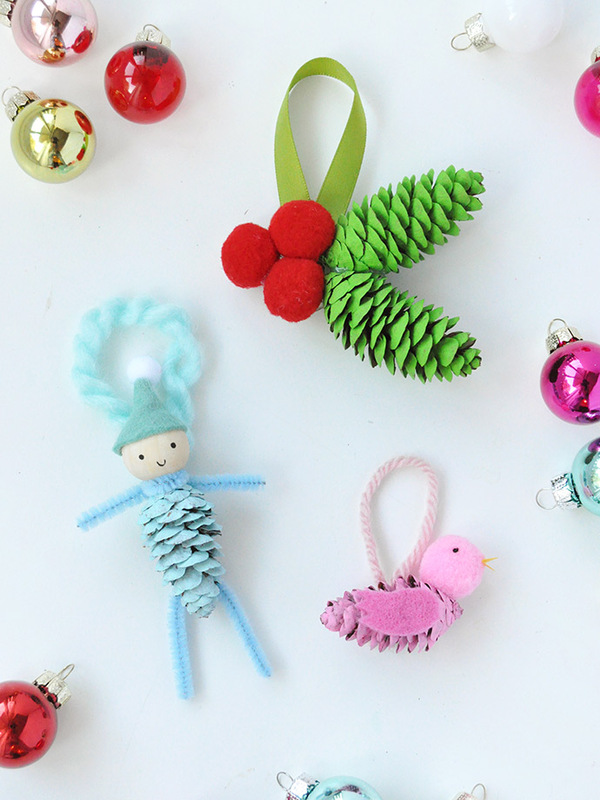 We were inspired by vintage pinecone elves and ornaments from the 50s but put a simple spin on them – you probably already have all the supplies you need to get started! 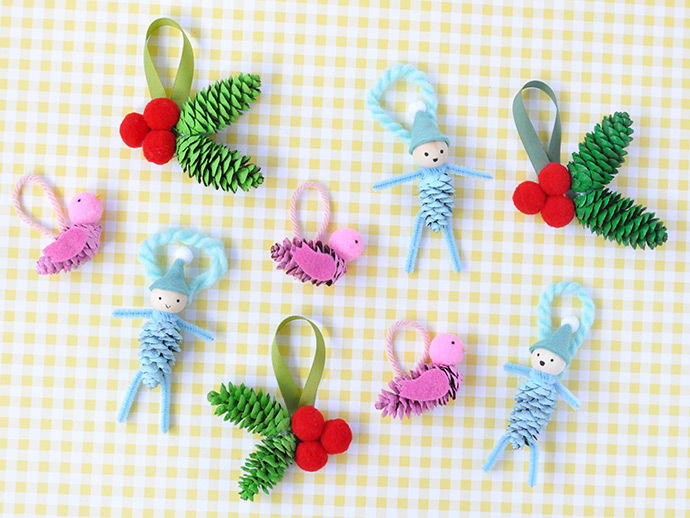 These ornaments make great DIY gifts, or keep them for yourself and deck out your Christmas tree with a whole crew of pinecone friends! 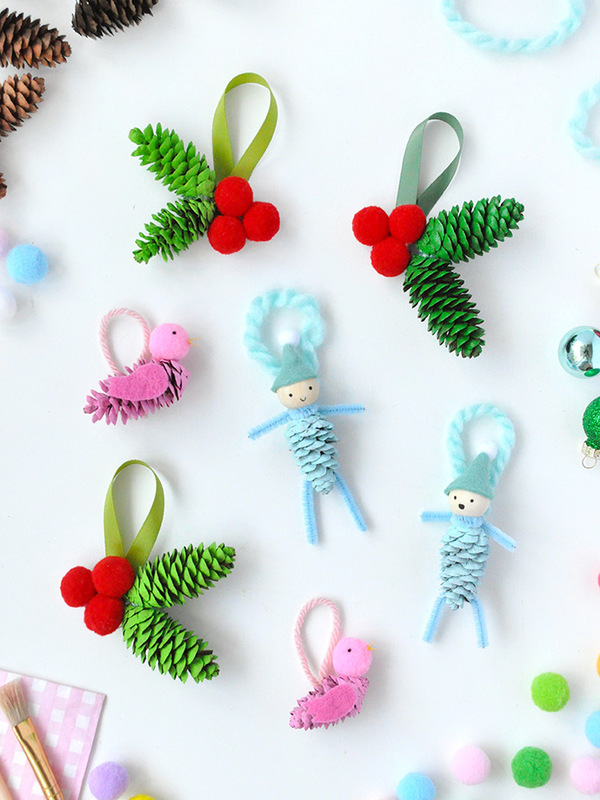 You could also use them as gift toppers for all your holiday presents this winter! 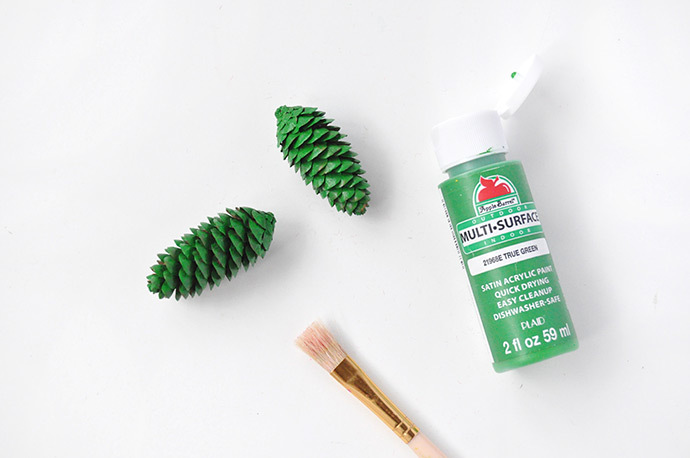 Paint the pinecones green and let dry. 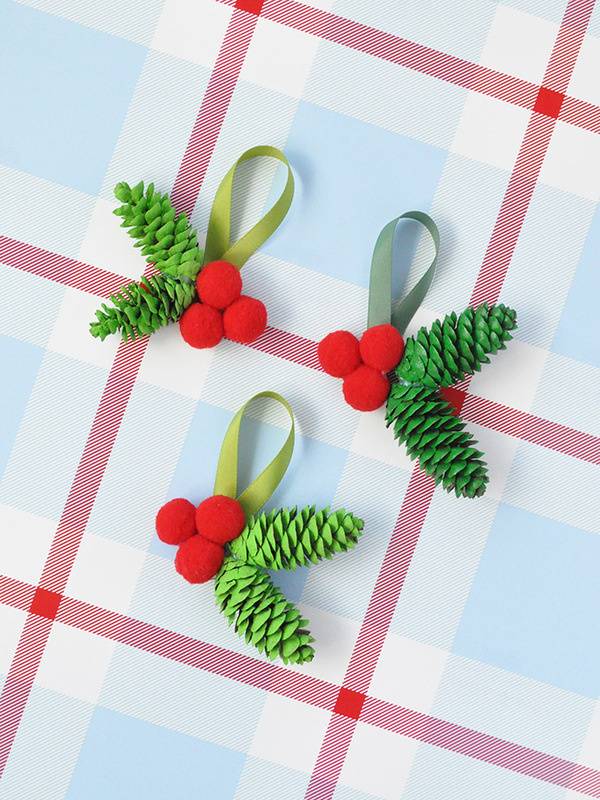 Hot glue three red pom poms together and then glue two green pinecones to the side. 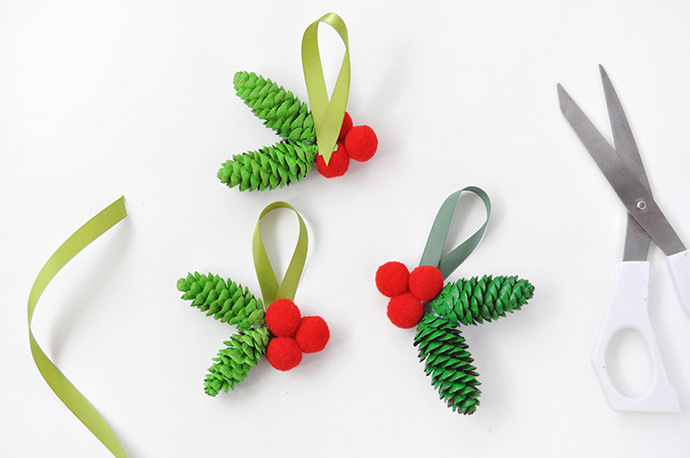 Form a loop with ribbon and hot glue to the back. 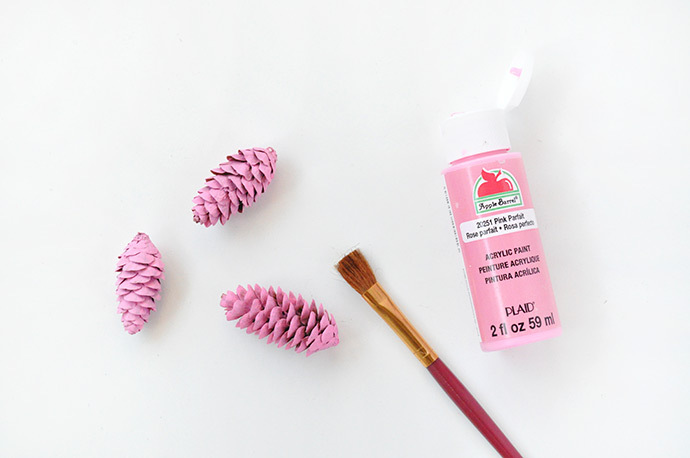 Paint the pinecones pink and let dry. 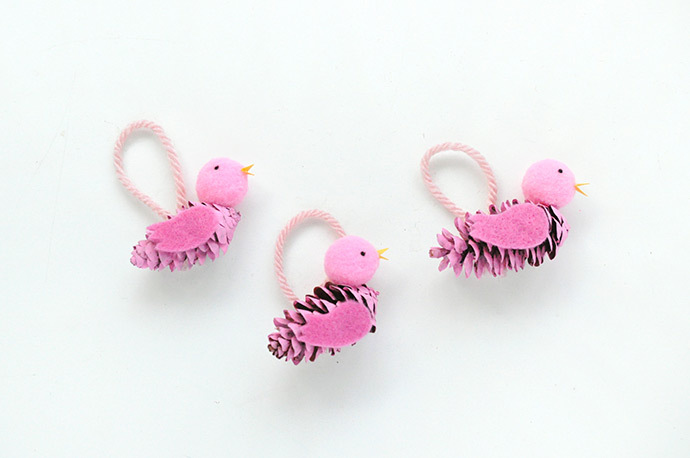 Cut and tie a loop of pink yarn and set aside. Cut a small felt wing and a mini diamond out of yellow paper. 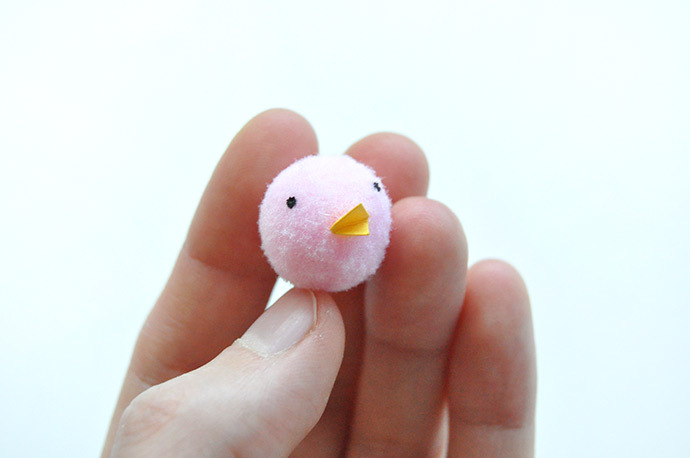 Fold the yellow diamond in half and hot glue onto the pink pom pom to form a beak. 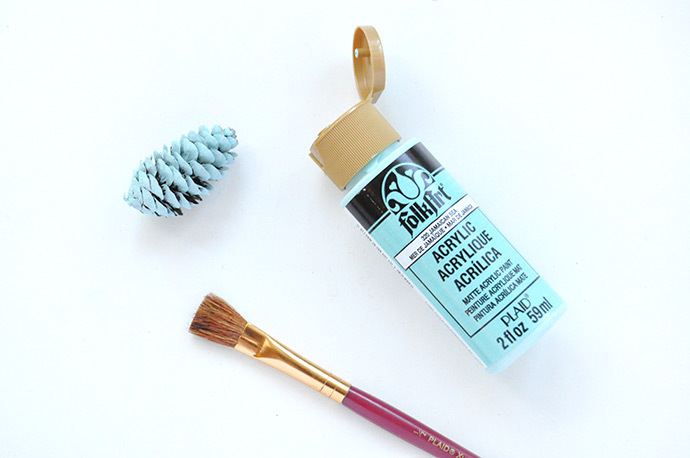 Use a tiny paintbrush to paint on eyes. 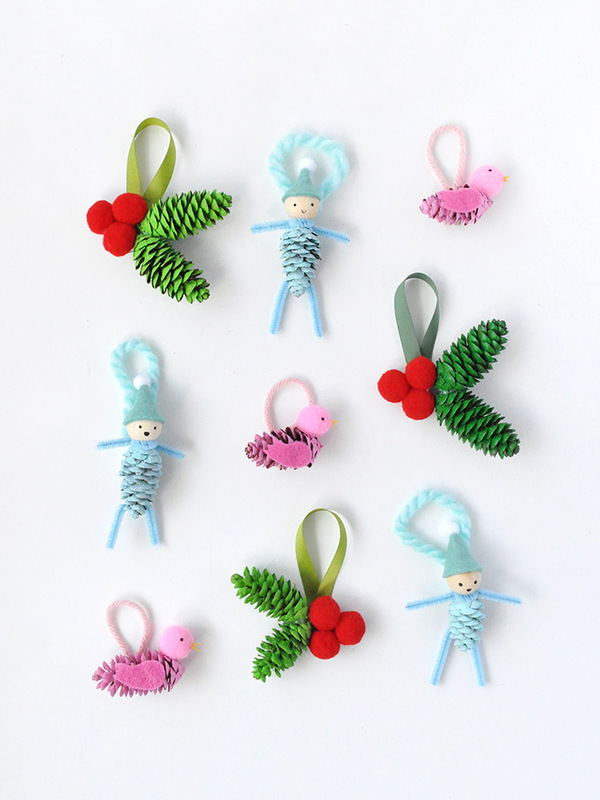 Hot glue the wings, heads, and yarn loops onto the pink pinecones. 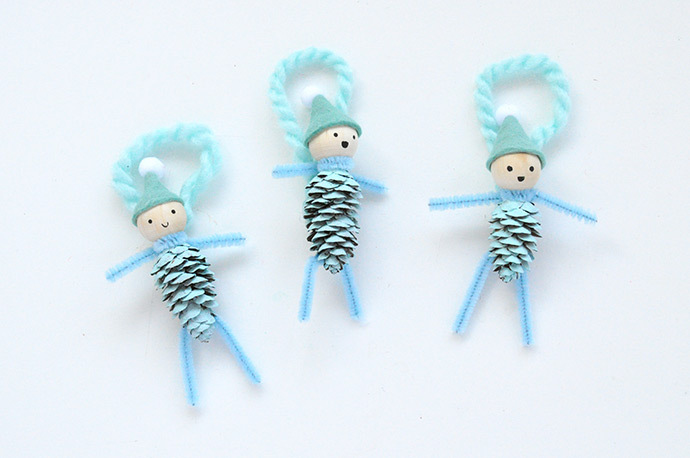 Paint pinecones pale blue and let dry. 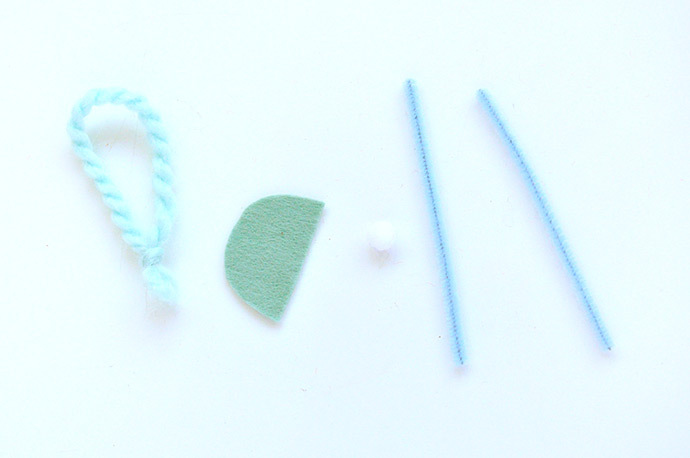 Cut and tie a loop of blue yarn and set aside. Cut a half circle out of blue felt for the elf’s hat. 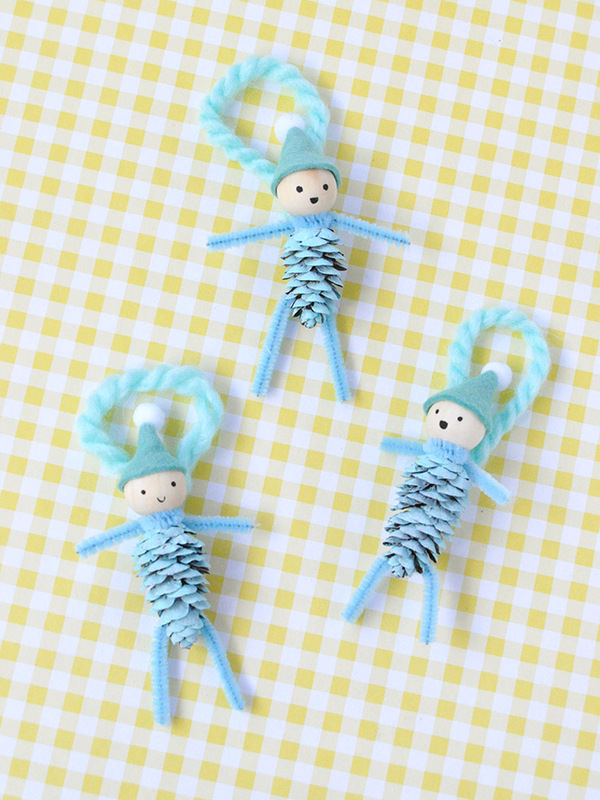 Grab two pale blue pipe cleaners. Hot glue the felt into a hat and glue the white pom pom onto the end. 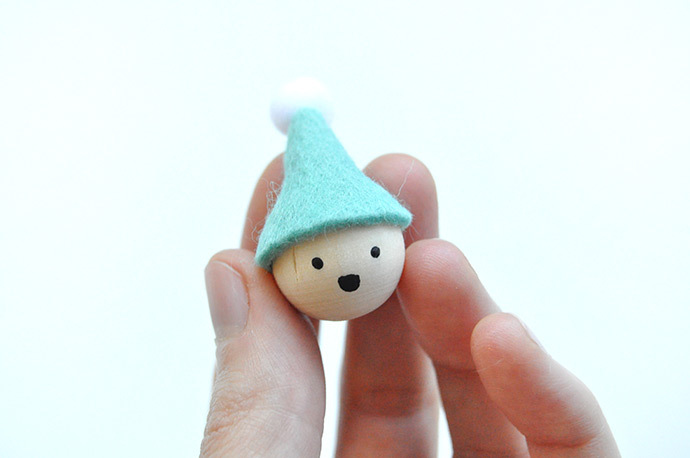 Glue the hat onto the wooden bead and paint the tiny face details on with a small brush. Hot glue the head onto the pinecone body. Twist one pipe cleaner around the neck to be the arms. 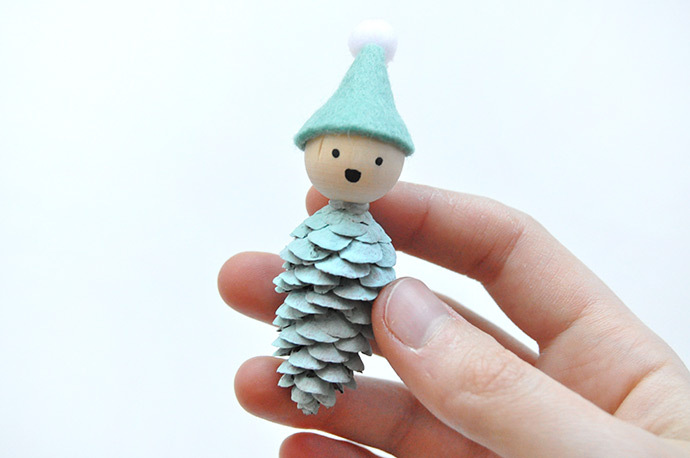 Bend another into a U shape and hot glue to the back of the pinecone to be the legs. 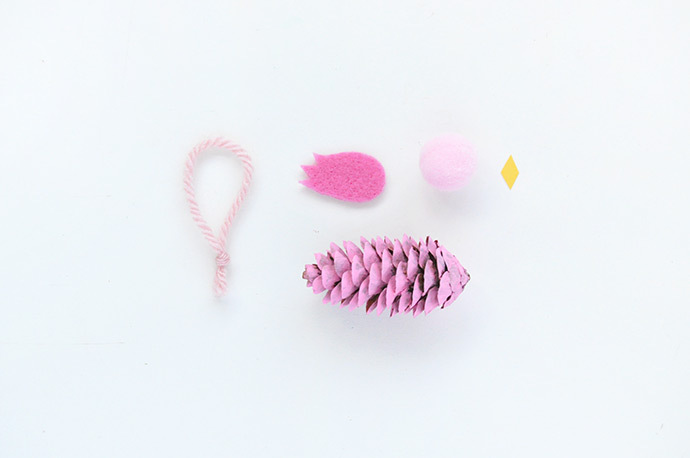 Hot glue the yarn loop to the back of the pinecone.